Garnet's name is from the Latin word "granatus" meaning "seedlike". This stems from the fact that garnet crystals in their host rock appear in the shape & color of pomegranate seeds. Garnet was known thousands of years before the Christian era, where it was considered a gem of faith, constancy, and truth as well as having curative properties. The garnet was often used in the crowns of kings and queens and was a favored jewel of religious leaders. Garnet was also believed to protect and preserve the honor and health of travelers. All these powers of the garnet were believed to be double for those born in the month of January. The most popular garnets are bright red. However, garnet is found in almost every color except blue. 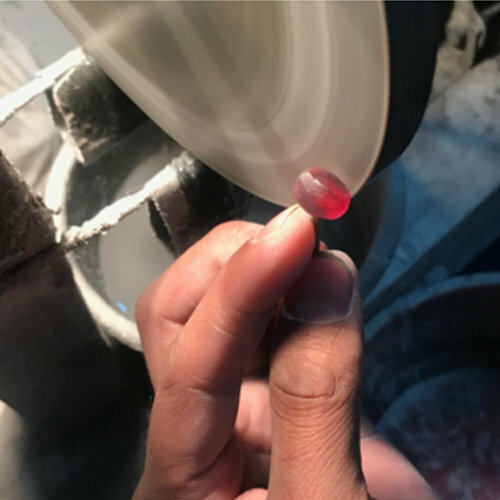 Our garnets are most commonly mined in Africa, and hand-cut in Thailand. A very durable gemstone, garnet can be worn for years with little risk of breaking or scratching. 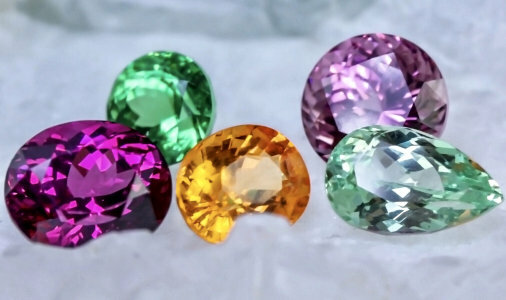 Garnets come in many sub categories including our favorite ones Lotus Garnet, Mint Garnet, Mandarin Garnet and Purple Garnet. The Gem Junkies have an entire podcast episode dedicated to all things Garnet: Oh Gosh Garnet! !